Are you looking for an awesome way for your kids to have some super playtime fun? 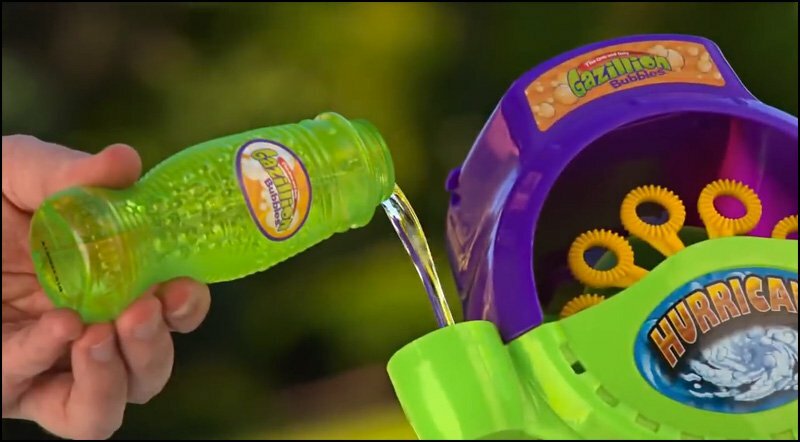 Funrise Gazillion Bubble Machine is the perfect way to entertain the kids this summer or let them have loads of party fun with the Gazillion Hurricane Bubble Machine with all their friends. It’s finally warmed up and it’s the ideal time for the kids to be outside and what better way to keep them entertained then with this Bubble Machine for Kids. 2 Great for Party Fun Too! 4 Wondering if the Funrise Gazillion Bubble Machine is Worth Buying? Bubbles aren’t just for fun and parties, bubbles are great for learning as well. The best sources of early childhood learning are meaningful and immediate, and involves children’s choices and discovery. Bubbles not only involve children in learning, but they are fun, ever-changing and easy to use. There’s no questioning the fact that little ones, toddlers, and just about everyone else find bubbles absolutely fascinating and enchanting, and once you start up the Funrise Gazillion Bubble Machine it will be blowing out hundreds of bubbles a minute. That being said it’s really easy to see why young children are so crazy about this bubble machine! Great for Party Fun Too! Even though it’s recommended for young kids, the Gazillion Bubble Machine is ideal for picnics, birthday parties, playdates or perhaps even for special celebrations like weddings, birthdays and baby showers! We love using a few of these Gazillion Bubble Machines when we put on a birthday party. The kids just love it! If you decide on a under the sea birthday party theme it would be awesome to use one of these cool kids bubble machines. 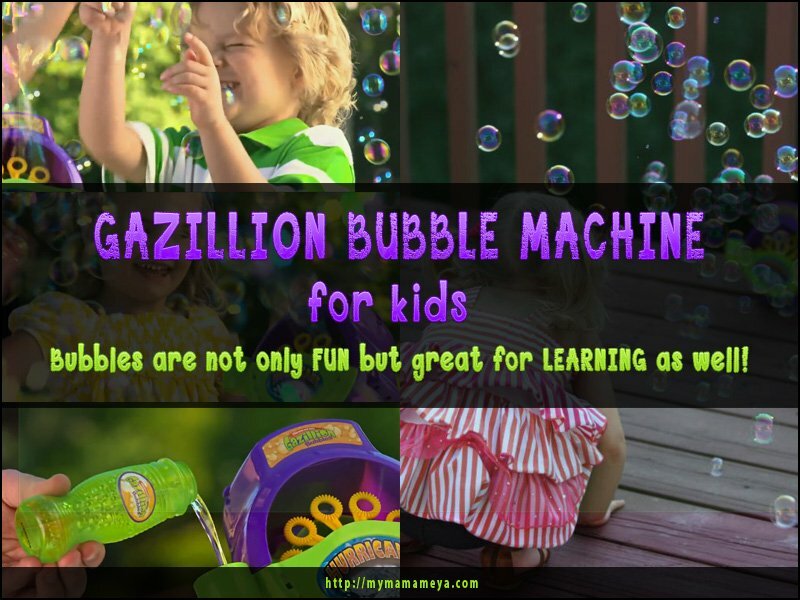 You’ll have loads of fun whenever or where ever you are using the popular Gazillion bubble solution, and the Gazillion Bubble Machine which consists of a 10 piece rotating bubble wheel that shoots out as many as 500 bubbles in just a minute. 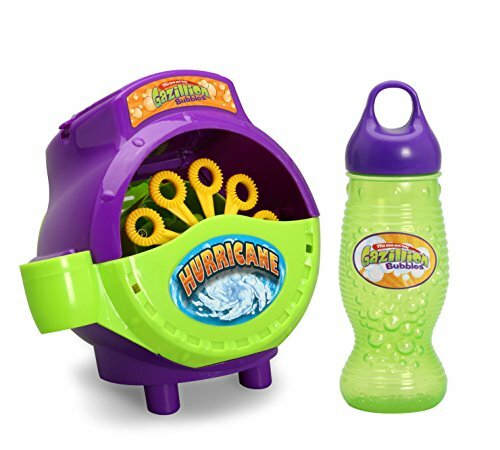 It is really not too difficult to see why the Gazillion Bubble Machine is referred to as hurricane – it really makes a hurricane of of fun filled bubbles that youngsters will simply adore! It runs off six AA batteries and unfortunately these not included. Wondering if the Funrise Gazillion Bubble Machine is Worth Buying? The Gazillion Bubble Machine Hurricane is probably the most popular bubble machines that is designed and available for children, and there’s no doubt that it makes thousands of bubbles in just a few minutes. It is also well worth mentioning that the quality of bubbles is excellent. 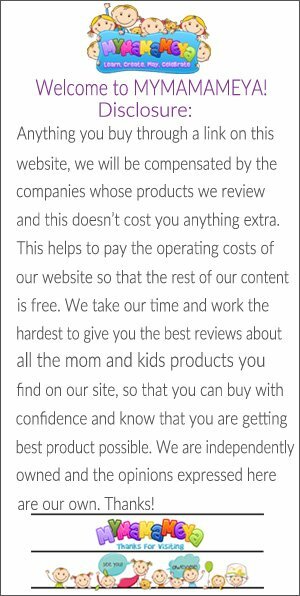 Although it sounds like a silly thing to worry about, nevertheless the Gazillion bubble solution makes reasonably strong bubbles which have longevity, that is until your kids start popping them. Perhaps one of the biggest challenges with many bubble machines is the fact that they just don’t generate that mind-boggling flood of bubble clouds that fill the air, but that’s certainly not an issue when using the Gazillion Bubble Machine. That being said, there are a few precautions that adults actually will need to have a look at before deciding if you want to buy this bubble machine or not. The Gazillion Bubble Machine typically is not made to be long lasting and robust regardless of how carefully it is used. Over-filling the reservoir tank where the Gazillion bubble solution is entered could easily cause spillages which could possibly leak in to the motor of the bubble machine and basically cause it to quit working. Furthermore,if you don’t take the time to thoroughly clean out the bubble machine after each use, it might not last that long. If any adult or parents stick to the instructions, as well as making sure that you are diligent when it comes to clean up, the Gazillion Bubble Machine will definitely provide kids with unlimited fun. Sadly to say, this maintenance of the bubble machine is absolutely vital, and without it there’s a pretty good chance that this bubble machine will break.Because of this specific reason, parents should only buy the Gazillion Bubble Machine for their children if they’re prepared to monitor it’s use, and then be there to carefully clean the machine after each use.This cleanup really doesn’t take long, but failing to do it will probably result in a broken machine. Another thing to take note of is if the liquid gets to low the bubble machine stops making bubbles as the wands need to be able to pick up enough liquid to cover each wand before its able to produce bubbles. The bubble machines reservoir needs atlas an inch of liquid to work. More piece of advice: you’ll either need to stock up on a few large bottle of the Gazillion Bubble Machine solution or think about making your own solution. If you are thinking about making your own bubble solution just be aware that the solution should be on the thicker side something like the flow of maple syrup. So all in all the Gazillion Bubble Machine blows the best bubbles, and your kids will love it but just make sure you keep it clean and maintained after each and every use because you sure wouldn’t want to see your kids disappointed. So, if you are planning on having a birthday party or maybe a Halloween Party or heh, maybe you just want to entertain the kids with a massive explosive flood of continuous bubbles ou not only want to pick up the Funrise Gazillion Hurricane Bubble Machine but you also want to take a look at some of the other super fun bubble toys.